Contains Calmosensine a dipeptide (Tyr-Arg) which helps to modulate the perception of heat, cold, and burning/stinging. It does this by coating the nerve endings at the receptor sites. 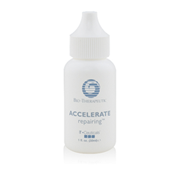 Offers acetyl dipeptide 1 as a desensitizer, skin calming and soothing ingredient and reduces inflammation. Also contains licorice extract which helps to decrease swelling and dark pigmented areas. Available in 60ml. 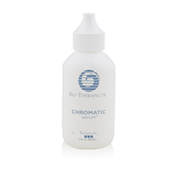 Contains algae extract, an anti-inflammatory and powerful peptide which helps to normalize the skins moisture content. Exfoliates and decongests the follicle with salicylic acid. Niacinamide Vitamin B, derivative of niacin, which improves barrier functions and creates the appearance of smoother skin. Available in 30ml. Contains passiflora edulis seed oil is rich in essential fatty acids which have been found to support the health of the skin's moisture barrier. It is rich in Vitamin C, and calcium and acts as an anti-inflammatory and is calming and soothing. Excellent for environmentally damaged skin, and offers antioxidant support and lipid replacement. Available in 30ml. Shown to benefit in absorbing UVA-UVB radiation, licorice root is also an anti-irritant, and acts as tyrosinase inhibitor, thus reduces hyperpigmentation. Also contains ascorbyl glycoside which is a time-released version of Vitamin C with lightening capabilities. As a powerful anti-oxidant, ergothioneine was developed specifically to protect the mitochondria, also has lightening effects. Available in 30ml.